Whissell Contracting Ltd., Calgary, and Voice Construction, Edmonton, are both long-established construction firms operating large fleets of heavy equipment throughout western Canada. Whissell Contracting Ltd., Calgary, and Voice Construction, Edmonton, are both long-established construction firms operating large fleets of heavy equipment throughout western Canada. The firms will apply Ironworks' abilities for managing machine-specific costs in planning, scheduling, budgeting and assessing the deployment of heavy equipment in various projects and applications. Whissell Contracting Ltd. was founded in Calgary in 1970 as a water and sewer contractor. Today Whissell has five divisions, three offices, 300-plus employees and more than 300 pieces of heavy equipment, highway tractors and trailers. Ironworks' beta program seeks an additional five large infrastructure contractors to use the system and provide feedback on its features and functionality. The beta program launched recently, with Teichert Construction of California as the first participant, following four years of prototype development with alpha users. "With Ironworks, the process of bidding for work in the fiercely competitive infrastructure construction industry will never be the same again," said Grant Lungren, president of Ironworks LLC, creator of the widely used Hard Dollar EOS/PXS (now offered by InEight®). "Ironworks changes the game by managing a fleet like a job, allowing for detailed budgeting and control of machine employment costs." 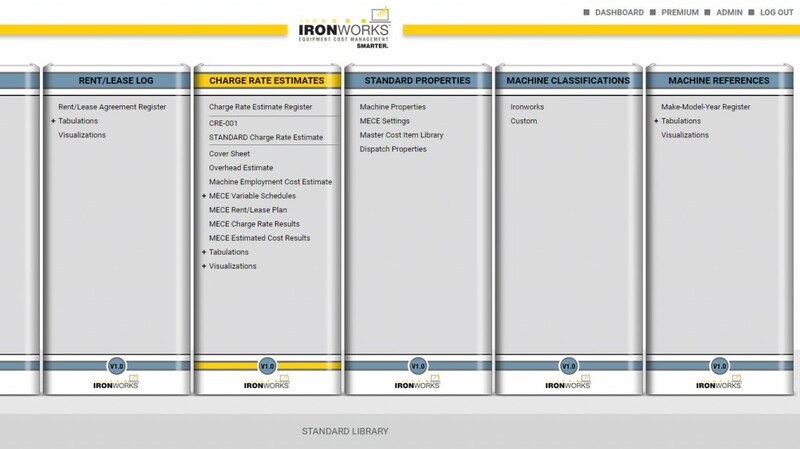 Ironworks' key equipment cost management functions include fleet information administration, renting and leasing, charge-rate management, client billing rate administration, dispatching, machine performance history and fleet analysis and optimization. "Ironworks uses advanced data visualization and analytics technology to make expert equipment cost management easy," Lungren said. "Not every contractor has to use Ironworks, but they will have to compete against those who do." To be considered for participation in the Ironworks beta program, contractors are asked to go to www.ironworkscloud.com, and click on the top line menu option "Beta Program" and then "I am interested."